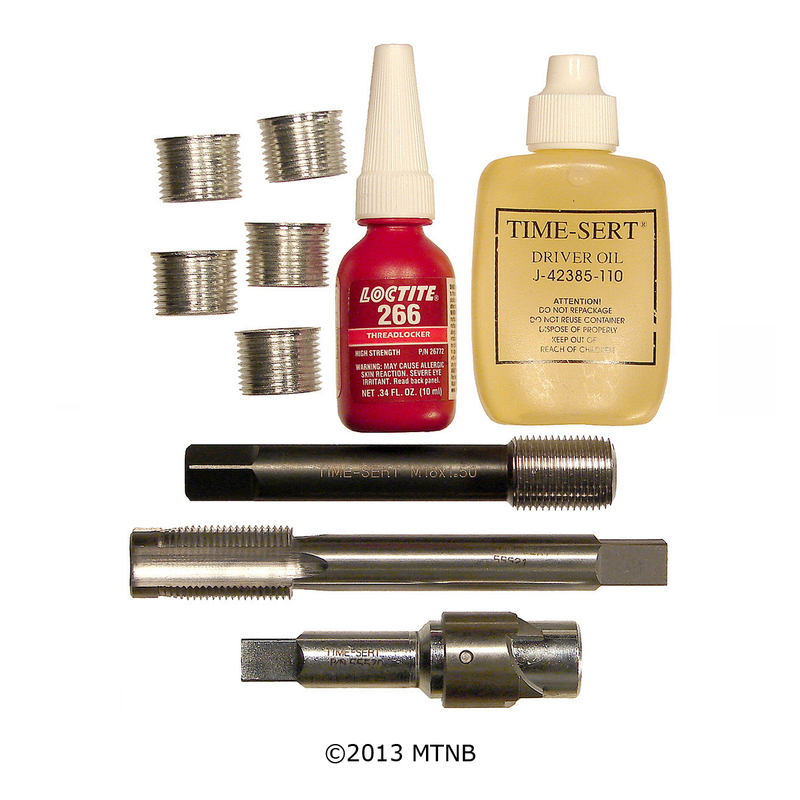 For Sparkplugs that have been previously repaired. than 16.8mm or .660 inches. any insert length in the columns to the right. Used in recessed holes 6" inches/152mm or deeper. Steel inserts typically have a higher tensile strength than aluminum. Last chance repair for the Ford 4.6 / 5.4 heads. 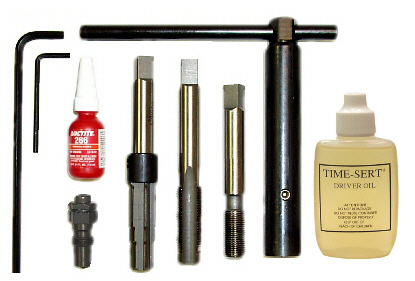 All of the tools are included to repair the spark plug hole.
" ADD ON KIT: FORD TRIPLE OVERSIZED REDUCER TO M14x1.25 TAPER SEAT "
:ADD ON KIT: LAST CHANCE REPAIR FOR THE FORD 4.6 / 5.4 heads. 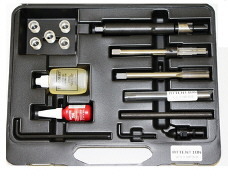 This is a special kit that is used in conjunction with the p/n 6605553 or 6605141E. 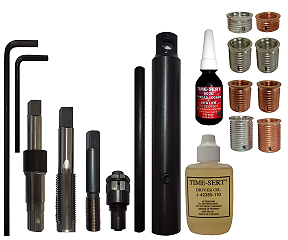 You must have 1 of the kits above to finish this repair. 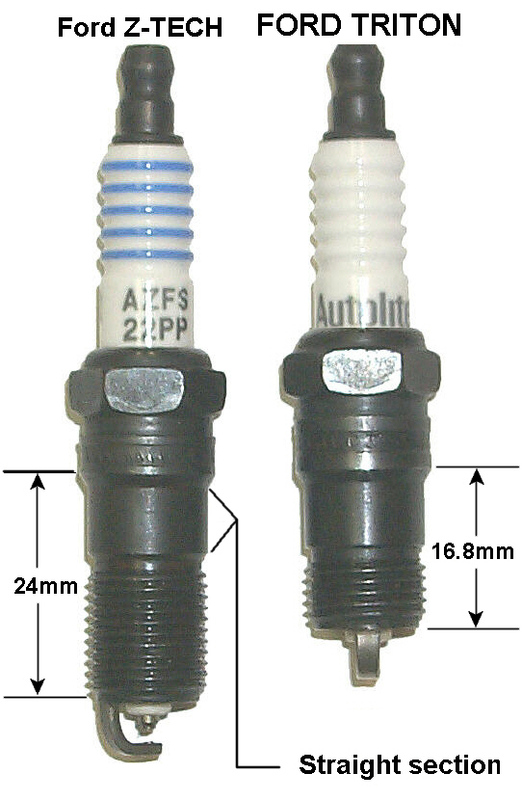 will accept our 3/4 reach M14x1.25 BIG-SERT inserts p/n 66151459, 66151407 or 66151457. 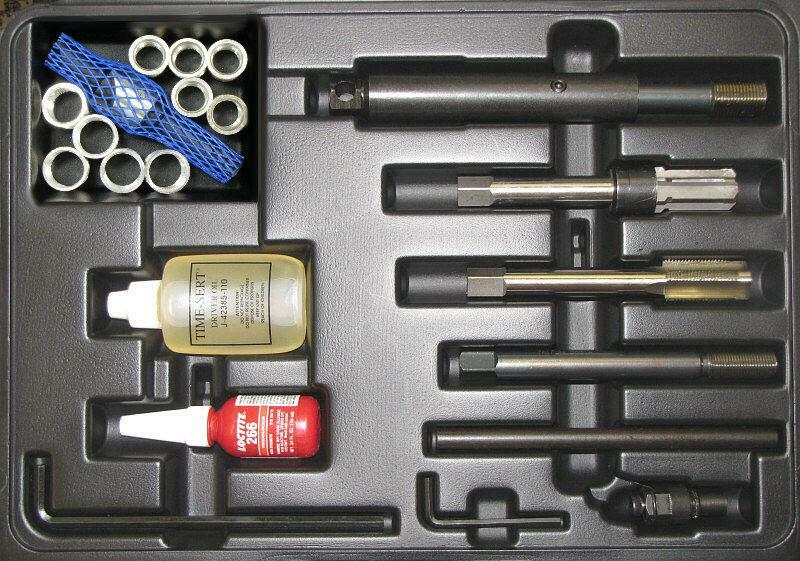 Kit includes 5 triple oversized inserts. We can now repair a hole as large as .730 inches by putting an insert inside an insert.